Introducing the world’s first Fraction Calculator packed with additional functions like reducing or simplifying fractions, fractions-to-decimals and a decimals-to-fractions calculator. All these in one nifty app. Discover an easy way to solve everyday fraction problems. Add, subtract, multiply, divide and even convert fractions, quickly and clearly. Visual Math Interactive’s Fraction Calculator is an excellent homework help and business reference tool, with nice clean keypads and large display type for your fast and easy calculations. 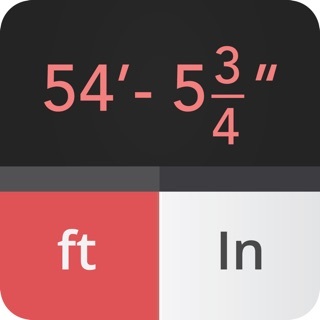 - Fraction calculator app and decimal-to-fractions app in one. - Also automatically reverse-converts fractions to decimals for your quick reference. - Supports improper and proper fractions, mixed numbers and whole numbers. - Now you can also go in reverse manner: Calculate from Decimals to Fractions as well. - Big, clear, uncluttered keypads for quick and easy calculations, every time. - Bonus Homework Help: Need extra help understanding fractions? Now, you can also stream FREE visually interactive Fraction Basics videos to learn the basics of fractions quickly. ► $3.99 one-time in-app purchase. ► Unlock the premium feature with your All Access Pass. ► Your All Access Pass unlocks all content for Zapzapmath Home grades K through 6 too! The fun way to learn the basics of fractions, enhanced with interactive visualization, gamification, and performance analytics. I’m not a professional technician or tradesman, but I am a DYI “Johnny Homeowner”. Once you get the hang of using this app, it’s pretty handy for making quick, on-the-fly measurement calcs. I’ve used it for a number of things from simple tasks like measuring wallpaper and hanging pictures to more complex jobs like designing a free-standing acoustic isolation chamber for vocal recording in a home studio. I took a star off because some fraction conversions (reducing, etc.) along with calculating can be tricky and I found them not to be completely intuitive. You have to actually learn how to use the app. I have the paid version which provides conversions between fractions and decimals. Overall, I’m pleased with it and it’s an app that stays on my phone while some other apps get “off loaded”. The app installed successfully. Decided to purchase the $3.99 decimal to fraction feature. After making the purchase the app just kept displaying the word “loading”. After 5 minutes of waiting with nothing else indicating it was upgraded I had to restart the iPhone. The in-app paid feature was not installed. I’m waiting for a response from the developer. Update: the developer contacted me quickly and easily resolved the issue. Required tapping the refresh app icon at the top left of the screen in the app. As a woodworker, I am constantly working with fractions of inches. This calculator has been a real help. I especially like the way you enter numbers like 3 ¾ inches, which is the most elegant I have found. I am so glad I found this calculator. I rely on it greatly.